Cross Country Running is open to all 7th-12th graders. Please also join the 'Prior Lake Girls Cross Country Running' group for girls on Facebook. The first two weeks you start to run please use the first two weeks of June's calendar. It is designed to be a little easier on the legs with more rest for the first two weeks. If you or your daughter have any questions, please contact Coach Saad. Physicals are only good for 3 years. Follow the link below to register and get a copy of the physical form to give to your provider. See the link above for the schedule, bus times, and when the runners are dimissed from school. Varsity, JV, and middle school runners will race at each meet except Sections on October 26th. On Monday, October 23rd, the meet is for all runners except for the Top 9 varsity runners. Below is the social media links to get the latest Girls CC information from Captains and coaches. 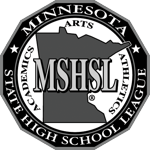 Facebook page is: Prior Lake Girls Cross Country Running. Click the SSC symbol in the left column, and then select School and sport.